We have a couple of older Females (I should say lovely Female Pups who are a bit older). Drop us an Email–we would love to hear from you. Spring pups are available. If you are looking for a puppy sooner rather than later, we have Early Spring 2019 Pups Waiting for their “Forever Home Placement”. To start the process contact Shela (via Email–shela@owyheestar.com) and let her know you wish to fill out the application. Thinking of a future puppy?!? Check with us–get your application in and follow up with a deposit to lock in a place on the Wait List. You must request the application via Email (shela@owyheestar.com). Our screening process is important to us. We want to make sure every puppy gets to the best possible placement. The good news is the right choice for the pup, is also going to be a good one for you. We do not take this process lightly. 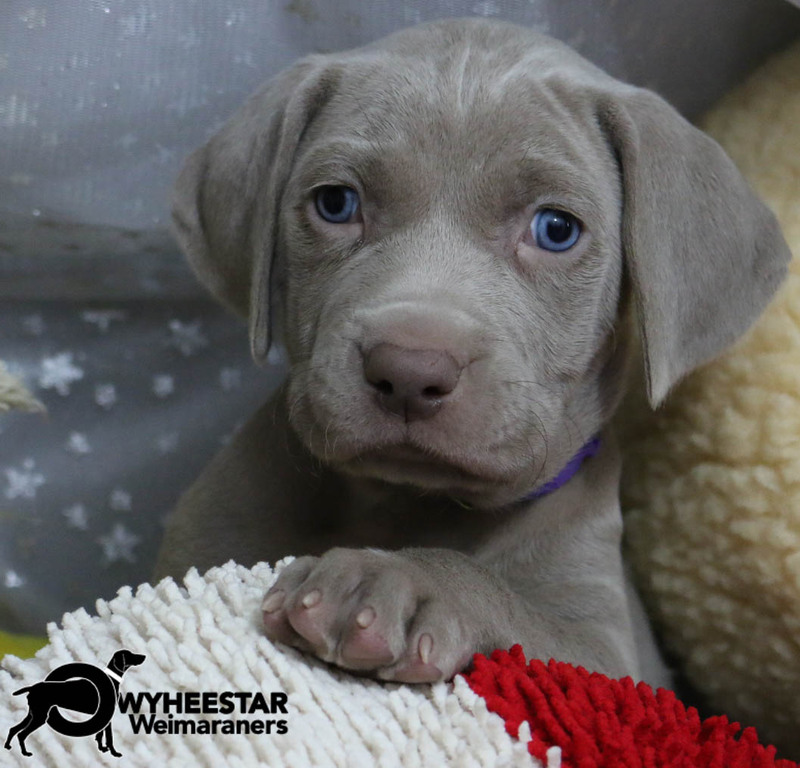 So if you want to bring home an OwyheeStar Weim, the best approach is to complete the application process. Our screening process must be completed to discuss availability in detail. Thank you for understanding. You can get more information above on the FAQs page–click here to access that page. We have mentioned the application several times. The first step is always to complete our application. The OwyheeStar application is an online application, and it will come as an invite from our primary website (www.owyheestar.com). To get the invite, please write Shela (shela@owyheestar.com) a brief inquiry, and express the desire to complete the application. The approved application along with a small deposit will lock in a place on the OwyheeStar Waiting List. Yes, to answer your question, the deposit applies to the cost of the puppy. Yes, everyone must fill out the application. Everyone must fill out an application. Even though you fill out the application, your name doesn’t go on our Wait List until you get our approval, and send us the Wait List Deposit. Deposits always apply toward the cost of the puppy. They can transfer forward, but we do not make refunds. Applications are good for a year–after that, we will ask for an updated application. Information gets old, facts change, etc. The better you fill out the application, then the better we can serve you. Us understanding who you are and what your lifestyle is like is essential. When you receive the invite, you will notice there are a couple additional pages that will open. One of these talks about our process. We add names to the Wait List in the order we receive the deposit.